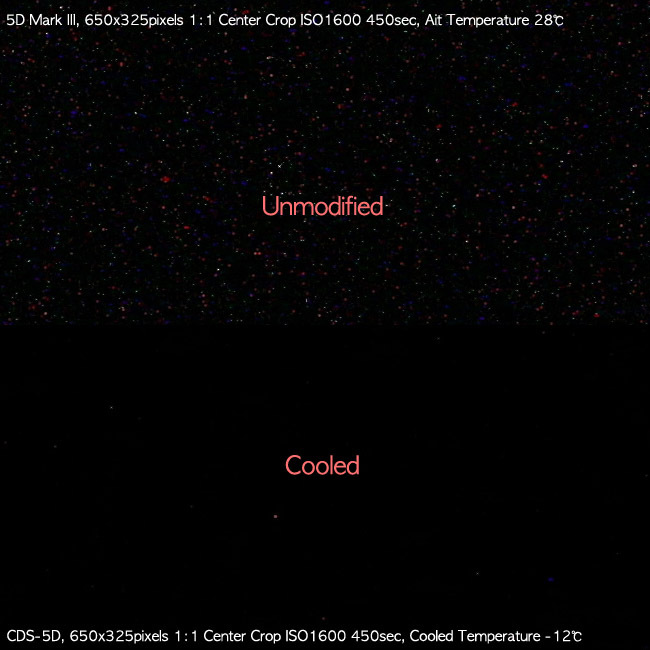 We compared the dark frame shots of unmodified eos 5D MarkIII and Cooled 5D mark III.The images were taken at indoor dark room and the exposure time was 450sec ( 7.5 minutes) and ISO setting was 1600. We croped 650×325 pixels in center area of original images and not resized. 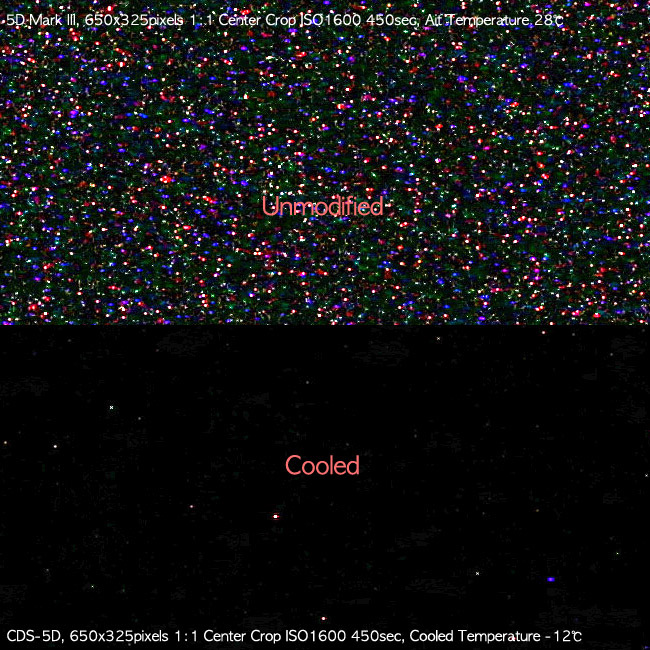 In order to distinguish the noise level of each shots more easily we stretched the tone levels in Photoshop program. The default value of highlight Levels is 255 and we stretched this to 100 and 30Levels.